At our house, we don’t like to waste. We believe in reduce, reuse, recycle for as many things as we can. We hate throwing away things that can be upcycled into something better than the original. One item we hate seeing wasted week after week is the cardboard tube that is inside of toilet paper rolls. There are a hundred different craft ideas for cardboard tubes, but I wanted to make something that could be used as art anywhere in the house. 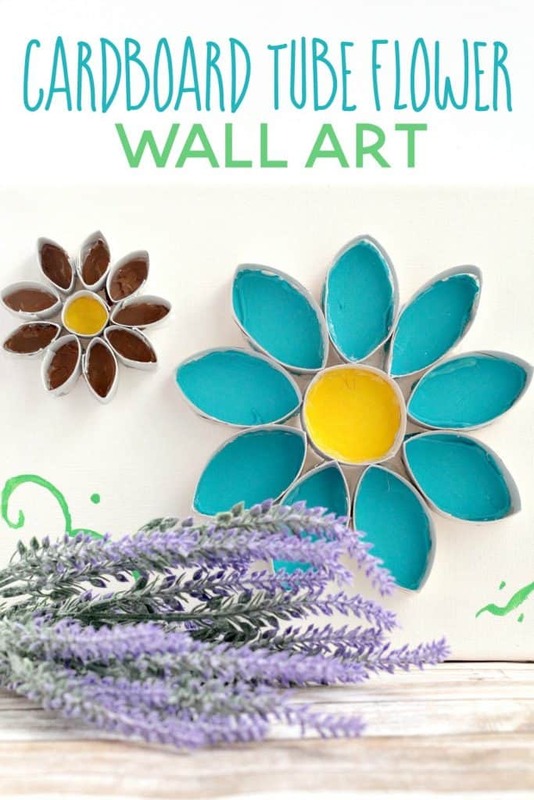 That’s how I came up with the idea for this flower cardboard tube wall art. This piece of art would make the perfect addition to any wall of your home. Measure and mark 1/2 inch sections on each of your toilet paper rolls. I used about three rolls for my project. 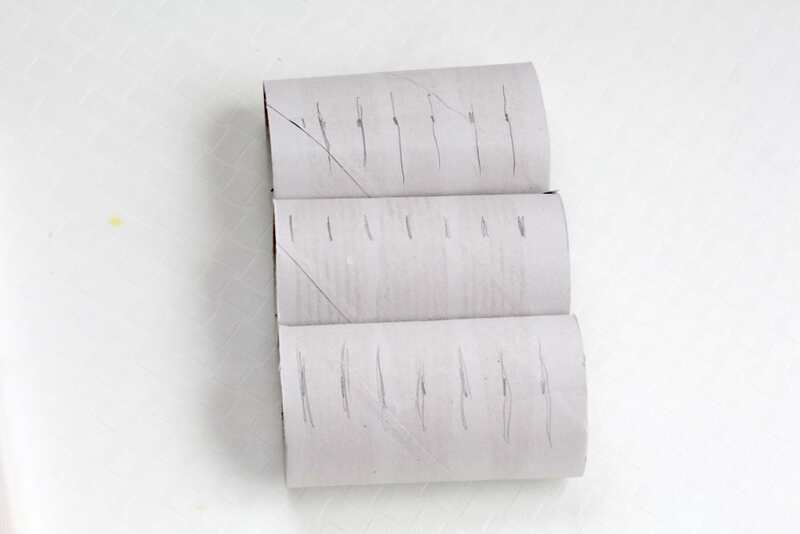 Cut the tubes apart on your marked lines. Squeeze nine of the bands into petal shapes. Leave one section completely round. 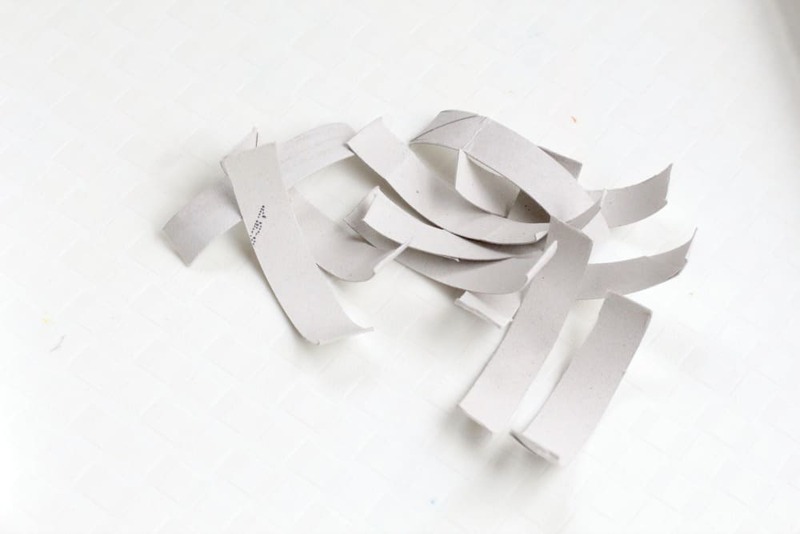 Take six other strips and cut them in half. The smaller strips will become the smaller flower. 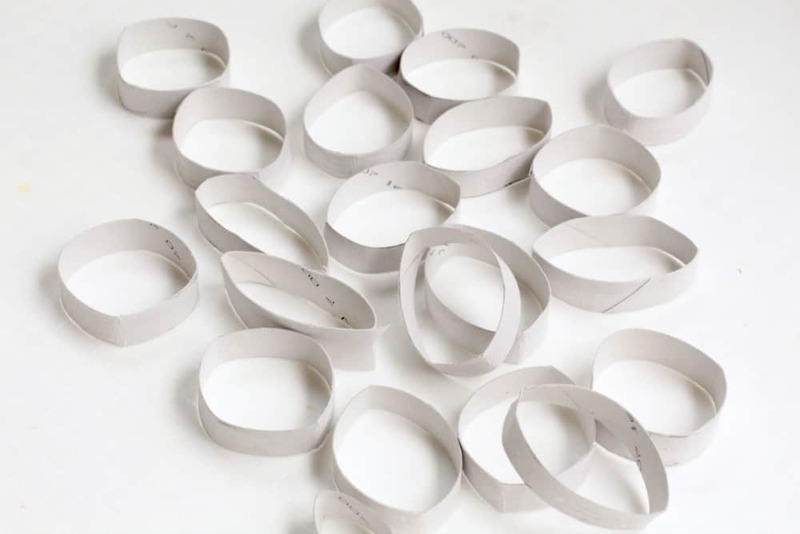 Use hot glue to glue the smaller strips into circles. Squeeze nine of the small circles into petal shapes, leaving one round. 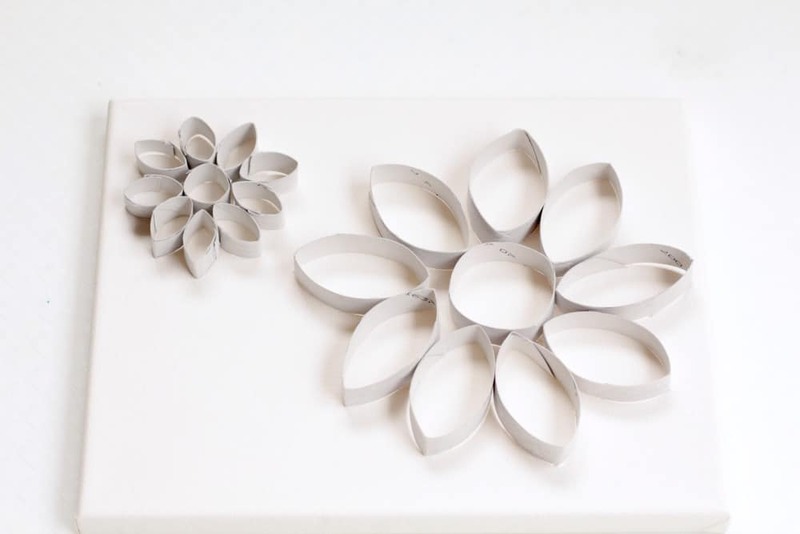 Arrange your cardboard tube flower onto the canvas. Mark the placement of each flower with a pencil. Paint the inside of each flower. 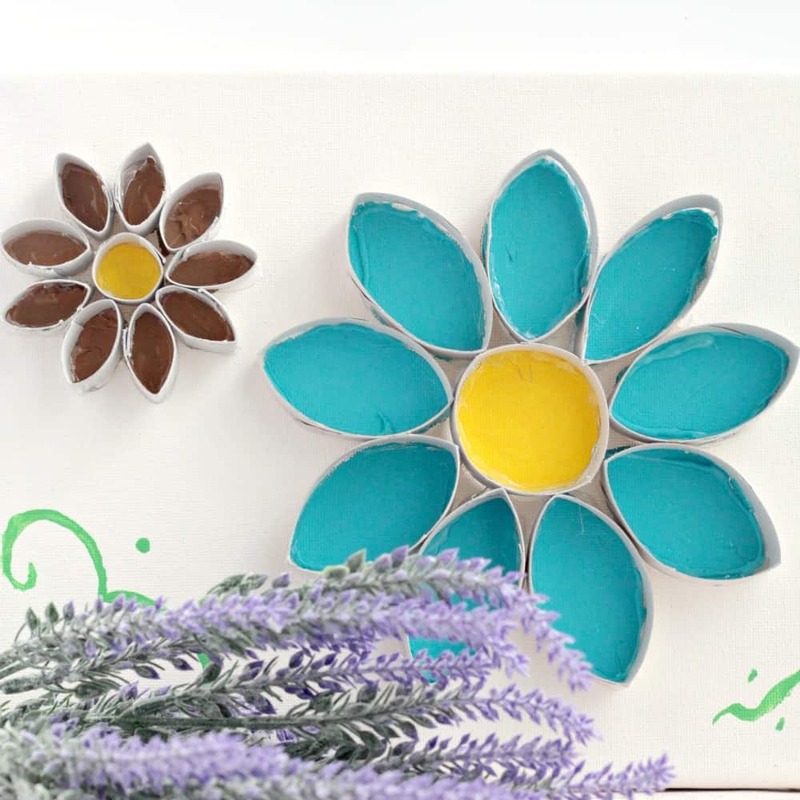 I made one brown flower and one blue flower, making the center of each flower yellow. Wait for the paint to dry. 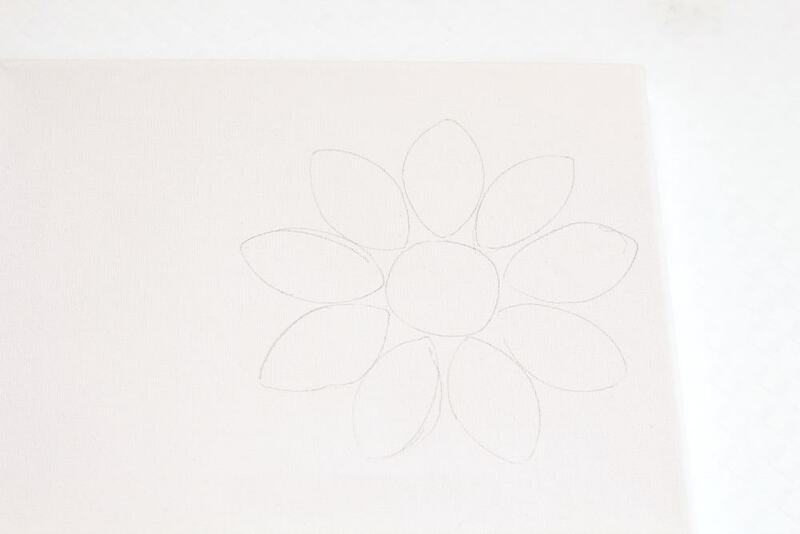 Line each petal with hot glue and place over the painted petals on the canvas. It works better to add the glue to the toilet paper roll rather than directly on the canvas, because it’s easier to bend the cardboard to fit the petals on the canvas than the other way around. If there are any gaps on the inside of your petals, fill them in with more paint. 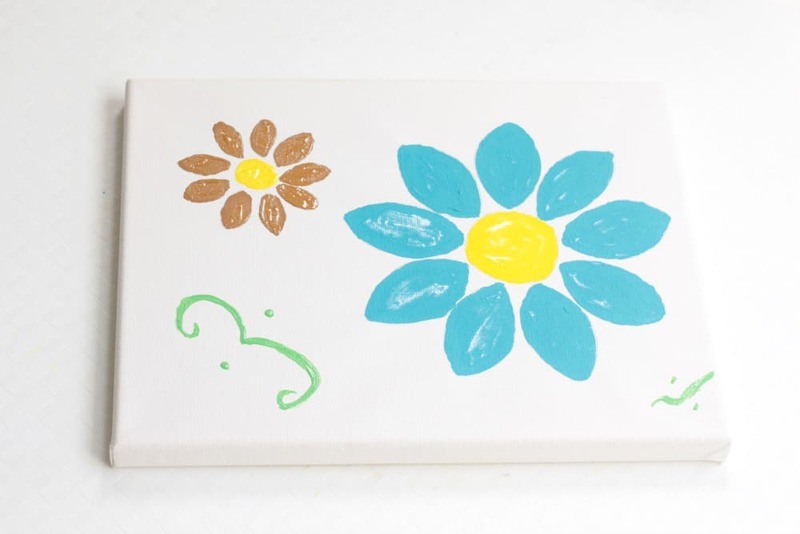 Add a green flourish or leaves to the corners of the painting to complete your cardboard tube wall art. When the painting is dry, hang it or display it on a shelf or mantle.